Nickelodeon UK Announces "Christmas On Nickelodeon 2012" Sponsorship Opportunity; Announces That Nickelodeon UK's "Big Christmas Stunt" This Year Will Be The 'The Advent Calendar Watch And Win' Competition! Nickelodeon UK has announced in their "Christmas on Nickelodeon" Sponsorship Opportunity on the official Sky Media website that, as part of "Christmas on Nickelodeon UK" and "December on Nickelodeon UK", Nickelodeon UK will be holding a special 'The Advent Calendar Watch and Win' competition, similar to Nick UK's "SpongeBob's Advent Calendar" which Nickelodeon UK held last year over Christmas 2011, which will be this years "Big Christmas Stunt" for Nickelodeon UK! The Nickelodeon UK News below also features a few concept images from what Nickelodeon UK's online Christmas Advent Calendar may look like on Nick.co.uk! Christmas on Nickelodeon - Available to sponsor now! This year Sky Media and Nickelodeon will be offering an exciting promotional Christmas stunt which is available for sponsorship! This will offer brands a unique avenue to reach the all-important kids' market. 'The Advent Calendar Watch and Win' competition, hosted online, will be Nickelodeon's Big Christmas Stunt for 2012. With full editorial support, the proposal will offer a brand a cross platform partnership that is connected and pushed via on air-promotions, sponsorship and online. This will deliver a fully integrated, channel endorsed package to promote and drive awareness for a brand. * This year Nickelodeon will be offering a Christmas promotion stunt that will be available for commercial sponsorship! * With full editorial support, the proposed will offer a brand a cross platform partnership that is connected via on air-promotions, sponsorship and digital. This will deliver a fully integrated, channel endorsed package to promote and drive awareness for a brand. The sponsorship bumpers would combine the brand with a graphic treatment that reflected the overall advent theme. For instance an advent calendar window opens to reveal a clip or image of the brand. * We'll be making lots of noise about the Nick Advent Calendar onair with 15 second and 30 second promos pushing to the sponsored advent calendar area on Nick.co.uk. * All of the promos would carry the brand as lower thirds and/or 5 second bumpers so they would be getting lots of exposure and a strong association with the competition. * The stunt promo activity will deliver approx. 80 Kids TVRs on Nickelodeon with the replay TVRs being provided as value. 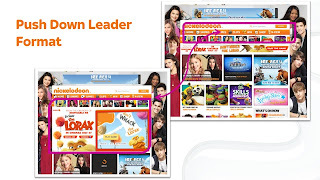 The competition would work like this ... each day viewers would go to the advent calendar web page where they open a new window and answer a programme related question for their chance to win amazing Nickelodeon and the brands prizes. The prizes could range from digital gifts such as a free itunes download to bigger prizes such as a Nintendo DS or iPad 3. Branding will increase when more windows are open, we've shown a couple of open windows here and could look at doing something with the surround of the page too. * Home Page Push Downs – high impact and extended home page presence. Nickelodeon UK's Official "Teenage Mutant Ninja Turtles" Website Unveils Brand New TMNT-Themed Online Game Called "Throw Back!" To celebrate and promote Nickelodeon UK and Ireland and Nickelodeon HD UK premiering and showing Nickelodeon's brand new CGI-animated "Teenage Mutant Ninja Turtles" television series from Monday 1st October 2012 at 5.00pm (BST (GMT+1)), Nickelodeon UK's official "Teenage Mutant Ninja Turtles" website, turtles.nick.co.uk, has unveiled a brand new "Teenage Mutant Ninja Turtles" themed online game called "Teenage Mutant Ninja Turtles: Throw Back! 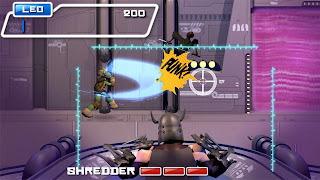 ", which you can play free here on Nick UK's official TMNT website! Wanna see something thats BRAND NEW & cool???? Check this out RT #nickturtles if you think this is Turtle-tastic awesomeness! http://ow.ly/dhPo2. Play all the latest Teenage Mutant Ninja Turtles games!!! #nickturtlesuk launching October 1st 5pm http://ow.ly/dsdkV. The turtles are kickin' it old school. Use your turtle power to defeat the foot! Setting up an online recruitment website in competition with job search sites run by publishing giants might sound like economic suicide. Not for Pip Jamieson and business partner Matt Fayle who, based on their own work experience, had spotted a gap in the market for a specialised employment website for creative industry professionals. In December 2009 they launched www.theloop.com.au, achieving critical mass such a short a short time that this year one of Australia’s big media players came knocking to see if they would sell. Jamieson happily declined. She knows theloop.com.au is actively taking business off this company. The site has 120,000 unique visitors a month with traffic growing by 45 per cent a week; 35,000 professionals have signed up as members, and more than 5,000 client in television, publishing, digital media, animation, film, music, marketing, public relations, sales, entertainment and other creative fields are using it to headhunt talent. Jamieson says some of those clients use the site exclusively because it avoids having to sift through a flood of job applicants who don’t have the right skills. Fayle was director of digital networks for Australasia at MTV when he proposed the idea of the website to Jamieson late in 2008 when she was marketing manager for MTV in New Zealand. She had already clocked up milestones, spearheading the introduction of the MTV and Nickelodeon channels and receiving an industry award for organising the MTV Mile High music gig on a trans-Tasman Air New Zealand flight. Jamieson says it was always hard finding the right talent at MTV. "You put a position up on a job board and it’s like ‘spamville’ with 1,000 people applying just because they want to be in television." And though 94 per cent of her hires were through word of mouth she says this didn’t necessarily mean the best people were getting the job. Jamieson was so enamoured with Fayle’s web idea she quit her job in the middle of the global financial crisis in February 2009, moved to Sydney with her husband and joined Fayle to create the website. They were shrewd enough to know their timing was good as companies facing tough times were looking for new recruitment strategies and cost-effective ways to employ quality staff. Nine months after sinking their savings into the venture and working in a cavernous top floor of a building in the back-blocks of Surry Hills, theloop.com.au went live, originally as “looped” but Jamieson says it was too hard to say on the phone so they changed the name. Trying to convince well-known brands to link with an unknown web recruiter was not easy. It involved lot of cold-calling, viral marketing through social media and word of mouth to get the critical mass. In 2010 the company hired its first employee and since then, has raised $2.39 million in two capital-raising rounds in Australia. A new potential investor must remain secret because he is the head of a media company in competition with the loop.com.au but wants to invest in a private capacity. "We broke even before our last round of investment but as we scale up again we are burning through the cash," says Jamieson. They have eight staff in Sydney, seven developers in Sri Lanka and a further four will join the team there. Jamieson says they hired an Australian-educated Sri Lankan through a digital agency to develop theloop.com.au. Their professional relationship was so strong that when he went back to Sri Lanka with his family they hired him in-house to oversee a Sri Lankan team. Last year theloop.com.au won the best enterprise category in the AIMIA (Australian Interactive Media Association) awards. Jamieson says the UN estimates 8 per cent of the world's population work in the creative arena. She says the key objective of theloop.com.au is to help creative people commercialise their skills promote themselves, collaborate, network and be connected with employers. "An algorithm at the back end of the system detects if someone is being followed by a lot of people on the site,” says Jamieson. "You go higher up on the search results depending on the quality of people following you. That is reflected in the calibre of your CV and recommendations from previous employers." "If you are a junior followed by 100 of your mates you will not feature as strongly in the results as a senior being followed by Google, BBC or Saatchi and Saatchi, for instance." "The crowd curates the platform so when companies search for people the best will always come to the top." Jamieson describes the site as a fuller, more tailored version of LinkedIn where you don’t need to have a prior connection to find other people, and where you can showcase work and create a community. The site earns money through clients paying to use it to headhunt and advertise for full-time staff, through universities paying to list courses and educational opportunities through the advertisement of creative workspaces. Jamieson says 56 per cent of the site’s members are in full-time work but 95 per cent of those are freelancers. Next step for freelancers is a calendar to let employers know when they have down time. An only child, she was born and raised in Wellington while her London-born father was running the New Zealand arm of music giant EMI. Today she calls herself a Bondi-based "Kiwi-Pom". After achieving a first class masters degree in Economics at Edinburgh University in 2002 Jamieson became an economist, advising on drug and prostitution legislation in the British public service. But she soon tired of "tweaking" spreadsheets so left to work with the organisers of the Brit Awards, the equivalent of the NZ Music Awards. After a year in London she moved to Australia to become strategy and development manager at MTV before moving with the broadcaster to New Zealand. "It has just been magic watching all this explode." She will head off soon to the UK for six months to launch a British version of the site. Would she and Fayle bring the business to New Zealand? "My life is about to become short bursts with London for six months - maybe New Zealand after that for a while, but I am going to be a rolling stone for a few years". In 2011, when the country’s first ever Annual Indian Comic Con was held in the capital, it was a curious affair for both, comic lovers as well as distributors. Though the two-day event did not have the grandeur of the original Comic Con of San Diego, where movies like 'Ironman' or 'The Avengers' were announced, the novelty around the do prompted the organisers to have another two-day-long Comic Con Express (CCE), a travelling version of the Indian Comic Con in Mumbai last year and now this year in Bangalore on September 8 and 9 at Koramangala Stadium. Held regularly in UK, USA and Canada, Comic Cons, which are also known as Comic Conferences or Comic Book Conventions are large scale gatherings of comic lovers and industry personnel that gives people a chance to purchase comics and interact with the publishers and sellers. “The response we received for the Indian Comic Con 2011 was phenomenal. Much like its international counterpart, it aims at highlighting new market trends in the industry and gives a wide platform for fans to interact with the publishers and distributors, who can sell the products directly to the fans. Besides, upcoming artistes and writers get a chance to meet up and show their works to publishers and distributors,” says Jatin Varma, organiser, Comic Con India. However, this year’s highlight is the release of 20 new graphic novel titles. Also on the cards is the revival of Timpa, a comic character that was based heavily on Tintin. Originally published by Indrajaal Comics in the late 80s and a Kolkata based publisher it fell through in the early 90s. This year, Pop Culture Publishing is reviving the series with the launch of the title Timpa-The Runners of the Golden Horn. Some of the publications that will be a part of the event include the likes of Marvel, DC, Amar Chitra Katha. Others like Chariot Comics, Holy Cow Entertainment and Campfire Graphic Novels will also be a part of the same. Even Pune will have its own representation at the CCE in the form of Krayon Pictures. The team from Krayon, which was instrumental in making the upcoming animated film ‘Delhi Safari’, will be speaking about the movie that releases on October 19. Nishith Takia, co-founder of Krayon Pictures will talk about the manner in which the project was executed, the kind of 3D modelling that went into designing the characters and also developing the content, which is on par with Hollywood. “The animation industry is changing and we will be highlighting as to what it will mean for Indian animated film makers in the future,” says Arpan Gaglani, Creative Director for Krayon Pictures. MUMBAI: Viacom18 will soon launch Rishtey in UK, a new mass entertainment Hindi entertainment channel that will complement its existing flagship channel Colors. Rishtey will be launched in UK first by IndiaCast, showcasing content from a spectrum of genres including format shows, fiction, music and news. The free-to-air (FTA) channel will be available on Sky Digital, it is learnt. Test signals are on and the launch is expected next month. Rishtey will air re-run shows of Colors and also have original content. Viacom18 operates a bouquet of channels including MTV, Nickelodeon, Vh1, Colors, Sonic and Comedy Central. It is also engaged in the film business through Viacom18 Motion Pictures. IndiaCast COO Gaurav Gandhi states, “Rishtey offers a wide range of variety entertainment programming that will engage, entertain and delight the South Asian audiences in the UK. As a free-to-air service, Rishtey perfectly complements our flagship brand Colors, by reaching out to a much wider audience base and giving them a taste of our much loved programming." Viacom18 today announced that it will soon launch its new channel, Rishtey. To be launched in the UK first by IndiaCast, Rishtey promises to offer ‘variety entertainment’ showcasing content from a spectrum of genres including format shows, fiction, music, news and more. Rishtey will be the latest addition to the Viacom18 bouquet of channels that currently includes six entertainment channels – MTV, Nickelodeon, Vh1, Colors, Sonic, Comedy Central – and the film business, Viacom18 Motion Pictures. Rishtey will be Viacom18's second channel in the mass Hindi entertainment space after its flagship channel Colors which launched in July 2008. It will be a free-to-air (FTA) channel and a part of the Colors family. When asked about Rishtey being launched in India, the Colors spokesperson declined to make any comment. The second GEC from the Viacom18 banner will be launched in the UK on September 3. It is learnt that the network has bought over the Sky digital channel 831, after Imagine Dil Se went off air in the UK a few weeks ago. Viacom18, the parent network of Colors, one of the top Hindi GECs, has announced that it will launch another Hindi GEC in the UK. The free to air channel, Rishtey, will be the first launch under the newly formed distribution network, IndiaCast, while it will be the seventh entertainment channel of the network as a whole, along with MTV, Nickelodeon, Vh1, Colors, Sonic and Comedy Central. In an official communiqué, Sudhanshu Vats, group CEO, Viacom18, says, "While we have a horizontal presence across television entertainment, with the launch of Rishtey, we now begin the phase of strengthening our presence in each vertical." Raj Nayak, CEO, Colors, says that the network is confident about the new channel, on the back of the content of the Viacom18 Group. Gaurav Gandhi, COO, IndiaCast says that the channel will cater to a wider audience base, being an FTA. It is learnt that Rishtey may share content with its sibling channel Colors for the latter's simulcast-worthy shows, new offerings and Hindi movies. It was also learnt that it will primarily be used as a free window to promote premium properties from Colors. Though the channel has refused to comment on any aspect of programming, market sources reveal that it may broadcast content from its news channels such as CNN-IBN, CNBC-TV18 and regional shows from its recently acquired Eenadu network. Shows such as Jai Shree Krishna (telecast on Colors when the channel was launched) and Kurukshetra will be telecast on Rishtey, along with a new singing reality show which will be simulcast on Sahara One and Colors, along with some channels in Pakistan. Interestingly, though, the content of the channel will be quite similar to Colors, which is already available in the UK market as a pay channel. The network chooses to call the channel a 'variety entertainment channel' with 'hybrid programming'. Initially, the channel will show repeat content. Apparently, it was mandatory for the network to launch the channel within a stipulated time period, or risk losing the EPG slot as per Sky's terms and conditions. Some media experts suggest that this may be an attempt to follow a strategy similar to that of STAR Utsav, which is a free to air channel that airs repeat telecasts of Star Plus' shows. However, launching the channel in the UK seems to be a strange move. It is possible that this is an attempt by the network to sample the content on a wider audience base and using a free to air channel is a better option than converting the flagship pay channel to an FTA channel. A media planner says that the content strategy definitely decreases the spends on the content by 75 per cent, as this kind of content would not cost more than a quarter of what original programming would. The branding of Rishtey is similar to Colors, with the corporate multi-coloured petal and a similar font. 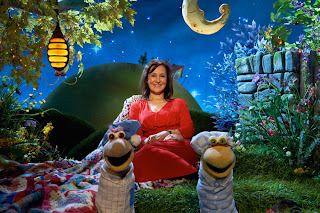 Nick Jr. Channel UK To Show Brand New Episode Of "A Bedtime Story" On 31st August 2012, Featuring Arlene Phillips OBE Telling The Classic Kids' Story Of "Jack And The Beanstalk"
Reminder: Watch @arlenephillips read 'Jack and the Beanstalk' in A Bedtime Story, starting in 15mins on #NickJrUK. 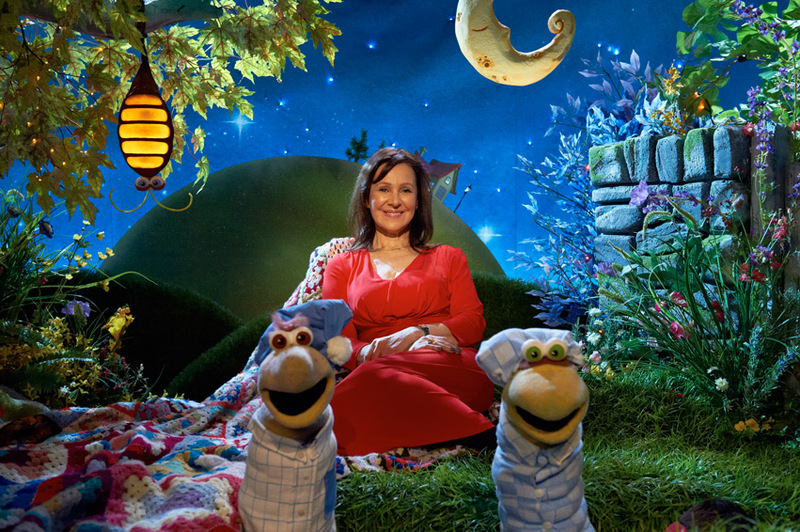 7:15pm - A Bedtime Story: Arlene Phillips reads tonight's bedtime story, 'Jack and the Beanstalk'. To celebrate Nickelodeon UK premiering brand new episodes of the second series of "Camp Orange UK" called "Camp Orange: The Lost Kingdom" ("You'll never make it alone! "), Nickelodeon's adventure reality show for best friends, on Nickelodeon UK and Ireland and Nickelodeon HD UK Sunday's at 9.30am (repeated at 10.30am on Nick Replay UK]), the official "Camp Orange: The Lost Kingdom" blog on Nick UK's official "Camp Orange" website on the official Nickelodeon UK and Ireland website, Nick.co.uk/CampOrange/, has posted a brand new blog entry which features a fourth very special online streaming video which takes "Camp Orange UK" fans and Nick.co.uk visitors behind the scenes of the filming and production of the brand new "Camp Orange" challenge called "Sacred Sisters" to see how the show is made which you can watch here on the official "Camp Orange" blog on Nickelodeon UK's official "Camp Orange" website, Nick.co.uk/CampOrange! Nick.co.uk's fourth brand new "Behind The Scenes Of Camp Orange" video also features various members of Nickelodeon UK's "Camp Orange 2012" production crew, including a photographer, and a short interview with Tom from the "Camp Orange: The Lost Kingdom" team "Surf Turtles". San Francisco, California-based interactive game developer Sifteo has secured a four-game contract with Nickelodeon to create titles exclusively for its next-generation Sifteo Cubes portable game system. 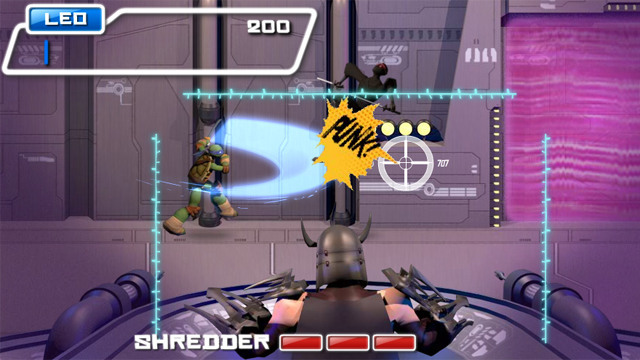 The first title, set for release this November, is Teenage Mutant Ninja Turtles: Ninja Slide. Sifteo has also partnered with game designer Richard Garfield, who created the popular card game Magic: The Gathering, to develop a Sifteo game for an early 2013 release. Sifteo Cubes, which originally launched in September 2001, are motion-aware 1.7-inch blocks with full-color touch-sensitive LCD screens. Tapping into the notion of intelligent play, the cubes communicate wirelessly and react to each others proximity and players' hand gestures. The portable Sifteo Base acts as an external hard drive storing players’ games, playing game audio and wirelessly communicating with the Sifteo Cubes. Adding cubes, up to 12 can be in play at once, allows users to unlock new levels, puzzles, and special characters. The new Sifteo Cubes (sets include three cubes with four game titles pre-installed to the base) are now available for pre-order at Sifteo's website www.sifteo.com, Amazon.com and ToysRUs.com and will begin shipping in November to retailers including Barnes & Noble and Toys ‘R’ Us. Additional games can be purchased through Sifteo desktop software which can sync to the Sifteo Base when connected to a computer. US-based Nickelodeon has ousted its president of animation Brown Johnson in a reshuffle that places Viacom veteran Russell Hicks at the top of a new production structure. Hicks, Nick's chief creative officer and 14-year company employee, has taken the new role of president of content development and production for the Nickelodeon Group, reporting into president Cyma Zarghami. Concurrently, Johnson, another long-term Nick exec who has been animation chief since 2008, is leaving. The channel has been under severe pressure from the Disney Channel in the cable ratings war, while dealing with constant claims Nick content available on video on-demand Netflix has led to declines. Nick recently ordered a record number of new series and specials for the 2012/13 season, a move that can be considered one of the biggest overhauls in the channel's history. The new look Nick will see Hicks in charge of a team that sees Marjorie Cohn taking a new role as president of content development, covering live-action, animation and digital. Elsewhere, Paula Kaplan will serve as executive VP of current series; Terri Weiss as executive VP of Nickelodeon preschool development and production; Alison Dexter as executive VP of Nickelodeon productions; Rich Mallaganes as senior VP for animation, current series; and Keith Dawkins as senior VP and general manager for Nick Jr, Nicktoons and TeenNick. Hicks has been CCO since 2008, overseeing the creative, on-air promotions, consumer products, brand and advertising divisions; and led the product development and creative positioning of across Nick properties. He was previously at Cartoon Network. Johnson, meanwhile, leaves the company having recently spearheaded the re-working of classic action toon Teenage Mutant Ninja Turtles. She was also responsible for preschool series such as Dora the Explorer and Blue's Clues, for more than two decades. “Brown’s contributions to Nickelodeon are many, including being the key architect behind our preschool leadership. She leaves an indelible impact on generations of kids for which we will always be incredibly grateful,” said Zarghami. Fourteen-year Nickelodeon veteran Russell Hicks has been named to the brand new position of president of content development and production for the Nickelodeon Group, while Brown Johnson, long-time president of Nick Animation [Nickelodeon Animation] exits the company. In his new position, Hicks, who served as Nickelodeon’s CCO since 2008, will continue to report to Nickelodeon Group president Cyma Zarghami. Based at Nickelodeon’s Burbank and Santa Monica, California, offices, he will be tasked with leading the company’s live-action, animation development and production teams for all of the company’s content platforms. Executives now reporting to Hicks include Margie Cohn, who has been promoted to the new Nickelodeon role of president of content development for live-action, animation and digital; Paula Kaplan, now EVP of current series; Teri Weiss, EVP of Nickelodeon preschool development and production; Alison Dexter, EVP of Nickelodeon Productions; Rich Magallanes, SVP of animation, current series; and Keith Dawkins, SVP and GM for Nickelodeon’s Nick Jr., Nicktoons and TeenNick channels. The appointment comes as Nickelodeon recently ramped up its TV offerings for this fall and into 2013 by greenlighting 14 new projects covering live-action, animation and TV movies. As Nickelodeon’s CCO, Hicks oversaw all of Nickelodeon creative, on-air promotions, consumer products, brand and advertising divisions. Prior to working at Nickelodeon, he served as VP of marketing for Cartoon Network/Turner brands for Warner Brothers. Meanwhile, Nick's president of animation since 2008, Brown Johnson, will be exiting her role to pursue personal creative endeavors. During her time in the position, Johnson led the kidsnet’s partnerships with DreamWorks Animation SKG as well as the new, CG-animated Teenage Mutant Ninja Turtles series. She also led Nickelodeon’s preschool programming, including Blue’s Clues and Dora the Explorer, for more than two decades. LOS ANGELES, Aug. 29, 2012 /Nickelodeon Press Release via PRNewswire/ -- Russell Hicks, a 14-year Nickelodeon veteran and its Chief Creative Officer since 2008, has been named to the new position of President, Content Development and Production for the Nickelodeon Group. The announcement was made today by Cyma Zarghami, President, Nickelodeon Group, to whom Hicks will continue to report. The newly created position establishes centralized, West Coast leadership of all Nickelodeon's content teams, and provides direct, on the ground oversight of the largest and most diverse development slate in the network's history. In this new role, Hicks will be based at Nickelodeon's Burbank and Santa Monica, California, offices, where he will lead the company's live-action, animation development and production teams for all of Nickelodeon's content platforms. Reporting to Hicks will be: Margie Cohn, who will serve in the new role of President, Content Development, Nickelodeon, working across live-action, animation and digital; Paula Kaplan, who will now serve as Executive Vice President of Current Series; Teri Weiss, Executive Vice President of Nickelodeon Preschool Development and Production; Alison Dexter, Executive Vice President, Nickelodeon Productions; Rich Magallanes, Senior Vice President, Animation, Current Series; and Keith Dawkins, Senior Vice President and General Manager for Nickelodeon's Nick Jr., Nicktoons and TeenNick channels. "Russell has been one of the driving forces behind the Nickelodeon brand," said Zarghami. "As we continue our ambitious evolution of Nickelodeon, Russell will ensure that our rich and diversified development slate, as well as our new and established producing partners, will all serve our creative vision for the network and deliver for our audiences. As the new development season begins, this is the perfect moment for Russell to take the helm." Nickelodeon's recently announced development slate includes more than a dozen new live-action, animation and TV movie projects as part of the network's deep commitment to new content. The slate features top creative talent in front of and behind the camera and iconic characters from the network's most popular series that will begin rolling out this fall and into 2013. These projects include: two Nick spin-off comedy pilots, Sam & Cat and Gibby, featuring beloved characters from hit series iCarly and Victorious; new series Wendell and Vinnie starring Jerry Trainor and the pilot Instant Mom, both for Nick at Nite; You Gotta' See This, highlighting must-see video clips; and two original TV movies, Swindle and Nicky Deuce. Also included are the CG-animated series Monsters vs. Aliens and the 2D Sanjay & Craig; the highly anticipated return of Teenage Mutant Ninja Turtles in September; and the 4Q launch of Nick at Nite's Scott Baio family comedy, See Dad Run. For preschool, the network is adding the curriculum-based animated series, Monty and Norville, and a pilot for Blaze and the Monster Machines. Brown Johnson, who has served as the President of Animation since 2008, will be leaving her role to pursue her own creative endeavors. Johnson oversaw the network's successful partnerships with DreamWorks Animation SKG, as well as the brand-new, CG-animated Teenage Mutant Ninja Turtles. She also was responsible for leading Nickelodeon's groundbreaking preschool programming, including Blue's Clues and Dora the Explorer, for more than two decades. "Brown's contributions to Nickelodeon are many, including being the key architect behind our preschool leadership," added Zarghami. "She leaves an indelible impact on generations of kids for which we will always be incredibly grateful." Hicks, as Nickelodeon's Chief Creative Officer, oversaw all of Nickelodeon Creative, On-air Promotions, Consumer Products, Brand and Advertising divisions, and led the product development and creative positioning of Nickelodeon's brands and properties and ensured it represented Nickelodeon's "Kids' First" philosophy and supported the company mission to provide surprising and playful experiences for its audiences. In 2009, he led an unprecedented creative review of the Nickelodeon brand and re-imagined its logo to represent the growth the company had attained after 30 years, while also maintaining and reflecting the company's core attributes. Prior to working at Nickelodeon, Hicks was Vice President of Marketing, Cartoon Network/Turner brands for Warner Brothers, where he was responsible for the marketing and creative that turned Scooby Doo and the Power Puff Girls into cultural icons. Hicks started his career as an animator that led him to work on Teddy Ruxpin, the first talking teddy bear for Worlds of Wonder toys. It is this combination of both animation and consumer products that has given Hicks his extensive knowledge of the children's entertainment world. Hicks attended California State University Fullerton where he studied illustration and design. You can visit Nickelodeon Latin America's official "La Leyenda de Korra" website here on MundoNick.com. Nickelodeon Latin America has announced on their official website, MundoNick.com, that Nickelodeon Latin America will start to premiere and show Nickelodeon's brand new live-action comedy series "Bucket & Skinner's Epic Adventures" (locally titled "Las Aventuras de Bucket y Skinner"; translated as "The Adventures of Bucket and Skinner") on Monday 3rd September 2012 at 8.00pm. According to Nickelodeon Latin America's official "Las Aventuras de Bucket y Skinner" website, Nickelodeon Latin America will show episodes of "Las Aventuras de Bucket y Skinner" Monday to Friday at 6.30pm in Mexico and Columbia, 7.00pm in Venezuela, 7.00pm (19hs) in Argentina, and at 9.00pm (21hs) in Chile. Nickelodeon Germany has announced on their official website, Nick.de, that, to celebrate and help promote three of Nick Germany's brand new Nickelodeon shows - Nickelodeon's brand new animated original Nickelodeon series (Nicktoon) "The Legend Of Korra" (locally titled "Die Legende von Korra"), Nickelodeon's brand new CGI-animated "Teenage Mutant Ninja Turtles" television series, and Nickelodeon Europe's brand new live-action daily soap opera series "Hotel 13" - Nickelodeon Germany (also known as Nickelodeon Deutschland) will be holding a shopping mall tour, where Nick Germany will be visiting major German shopping centres, where they'll be setting up Nickelodeon Information Booths which will offer lucky mall visitors and Nickelodeon fans and viewers information and first look sneak peeks of Nick Deutschland's brand new shows, plus the chance to win some great prizes! This fall, expect you three incredibly exciting and cool new series on Nickelodeon! In September starts the "Avatar"-THE LEGEND OF KORRA successor and the new daily soap HOTEL 13 and in November finally beat back the TEENAGE MUTANT NINJA TURTLES! Want to learn more about the three voltage and action-packed series? 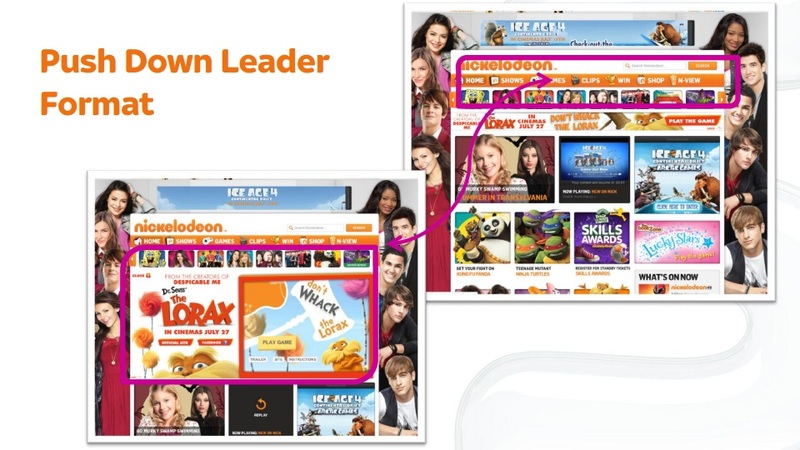 Nickelodeon is for you to major shopping centers and tour provides you before all characters and stories! At the information booths in shopping centers you get insights EXCLUSIVE: Look at before anyone else and before starting the first scenes of the TV series! In addition, you can take the information booths win cool prizes! Diesen Herbst erwarten dich drei unglaublich spannende und coole neue Serien bei Nickelodeon! Im September startet der "Avatar"-Nachfolger DIE LEGENDE VON KORRA und die neue Daily-Soap HOTEL 13 und im November schlagen dann endlich die TEENAGE MUTANT NINJA TURTLES zurück! Du willst mehr über die drei Spannungs- und Action-geladenen Serien erfahren? Nickelodeon geht für dich auf große Einkaufszentren-Tour und stellt dir alle Figuren und Geschichten vor! An den Info-Ständen in den Shopping-Centern bekommst du EXKLUSIVE Einblicke: Sieh dir vor allen anderen und vor TV-Start erste Szenen der Serien an! Außerdem kannst du an den Info-Ständen coole Preise gewinnen! Alle Infos und ein Memo-Game zu den drei Serien findest du weiter unten auf dieser Seite! Nickelodeon Germany Announces Plans To Start To Show Nickelodeon's Brand New CGI-Animated "Teenage Mutant Ninja Turtles" TV Series From Sunday 4th November 2012! Nickelodeon Germany has announced and revealed the Nickelodeon Germany/Teenage Mutant Ninja Turtles News on their official website, Nick.de, that Nickelodeon Germany (also known as Nickelodeon Deutschland) will start to premiere and show Nickelodeon's brand new CGI-animated "Teenage Mutant Ninja Turtles" television series on Sunday 4th November 2012! Strong! Brave! Smart! ... And hungry - the Teenage Mutant Ninja Turtles are back. 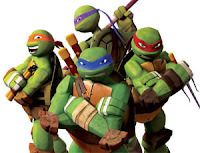 The four heroes and mutant turtles Leonardo, Donatello, Raphael and Michelangelo have taken up their quarters in the sewers of New York City. From here they plan their missions against evil and evil on the streets. To celebrate Nickelodeon UK premiering and showing the UK premiere of Nickelodeon's brand new original comedy series "Bucket & Skinner's Epic Adventures" in September 2012, starting with a special preview on Monday 3rd September 2012 at 6.00pm (repeated at 7.00pm on Nick UK's plus one (+1) timeshift channel, Nick Replay UK), and then fully from Monday 10th September 2012, the official Nickelodeon UK and Ireland website, Nick.co.uk, has unveiled their brand new official "Bucket & Skinner's Epic Adventures" website to accompany the brand new sitcom on Nickelodeon, which you can view here at Nick.co.uk/shows/bucketandskinner/. Nickelodeon UK's brand new "Bucket & Skinner's Epic Adventures" website features online "Bucket & Skinner's Epic Adventures" streaming video clips featuring short video clips from the show, a "Meet The Characters" character bios section featuring information about each character in "Bucket & Skinner's Epic Adventures" - Bucket (Taylor Gray), Skinner (Dillon Lane), Kelly Peckinpaugh (Ashley Argota), Piper Peckinpaugh (Tiffany Espensen) and Aloe (Glenn McCuen), and a photograph gallery featuring stills from Nickelodeon UK's latest brand new show! Bucket and Skinner's Epic Adventures - Skinner has a great plan to get out of class. Bucket and Skinner's Epic Adventures - Bucket and Skinner look quite fetching as ladies. Bucket and Skinner's Epic Adventures - Skinner has an ingenious scheme. Bucket and Skinner's Epic Adventures - There's a huge storm coming. The Official Nickelodeon UK Website, Nick.co.uk, Unveils Exclusive Sneak Peek Video Clip From The Brand New "iCarly" Episode "iToe Fat Cakes"
To celebrate Nickelodeon UK and Ireland and Nickelodeon HD UK premiering the brand new "iCarly" episode called "iToe Fat Cakes" on Monday 3rd September 2012 at 5.30pm (repeated at 6.30pm on Nick UK's plus one (+1) timeshift channel, Nick Replay UK), followed by a special preview of the brand new Nickelodeon comedy series "Bucket & Skinner's Epic Adventures", the official Nickelodeon UK and Ireland website, Nick.co.uk, has unveiled a special brand new video clip which features a exclusive sneak peek at the brand new "iCarly" episode titled "iToe Fat Cakes", which you can watch here on Nickelodeon UK's official "iCarly" website on the official Nickelodeon UK and Eire website, Nick.co.uk! In Nick.co.uk's exclusive "iCarly Sneak Peek" video clip, while an excited Carly Shay (played by Nickelodeon Star Miranda Cosgrove), is in her bathtub getting ready for a date, Carly starts to channel surf on her bathroom television. After watching a clip from the "Peruvian Puff Pepper" episode of the Nickelodeon TV sitcom "Drake & Josh", also created by Dan Schneider, and a promo for "Twinjas" on "The Dingo Channel", she stumbles upon an classic sitcom on "The Vintage Channel", which gives her an idea. Unfortunately, she becomes trapped when her big toe gets stuck in the faucet. You can also view a second Nickelodeon Sneak Peek video clip at the brand new "iCarly" episode "iToe Fat Cakes" here on NickALive!. RT [...] iToe Fat Cakes on @NickelodeonUK nowwww!! Kix continues the successful Power Battle Weekends block, showing the best episodes from Power Rangers Wild Force, Dino Thunder and S.P.D. - all weekend! Los Angeles-based MarVista Entertainment will celebrate the 20th anniversary of children’s action series Power Rangers by bringing its latest incarnation to Mipcom. Power Rangers Megaforce (40x30′) will debut to the international market in Cannes through MarVista, which has global sales rights to the Saban Brands-owned property. The series is due to launch on Nickelodeon in the US next year . Last week, MarVista picked up three new teen TV movies for distribution: Pop Star, I Kissed a Vampire and Circle of Lies. MIPCOM is a TV and entertainment market which is held in the French town of Cannes once every year, and will take place this year between 8th and 11th October 2012. You can find out more information about MIPCOM 2012 here on the official MIPCOM website, www.mipworld.com/en/mipcom/. In celebration of the 20th anniversary of the live-action boys series Power Rangers, L.A.-based MarVista Entertainment will debut the newest version of the franchise, Power Rangers Megaforce, at MIPCOM 2012. Forty new half-hour episodes of the series, which is expected to air on Nickelodeon in the US in 2013, will be on offer to international buyers by MarVista, the exclusive international distributor for Saban Brands' Power Rangers. Power Rangers Megaforce follows the adventures of a supernatural guardian, Gosei, who summons the help of five teenagers, the Power Rangers Megaforce, to battle the evil Warstar aliens who have launched a massive invasion. In support of the new series, Saban Brands will launch an extensive consumer products campaign, character appearances, retail promotions and advertising. The latest news comes on the heels of the UK’s Channel 5 picking up Power Rangers Samurai and Power Rangers Super Samurai. Forty fresh installments of the 20-year-old action franchise will debut Saturday in Cannes. Those pesky Power Rangers will hit the Croisette Saturday morning as the characters' originator, Saban Brands, unveils 40 new episodes of the 20-year-old action franchise during the two-day Mipcom Jr. kids market in Cannes. Hundreds of program purchasers will be on hand at the Martinez hotel for the annual buying and selling bazaar. 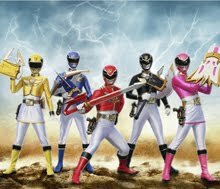 The availability of new episodes to international children's buyers comes on the heels of several ratings successes for the current Power Rangers Samurai series -- in France, Germany, the U.K. and Australia. In France, for example, Power Rangers Samurai, airing on Gulli, ranked last month as the No. 1 kids action series in the country with Boys 4-14 and the No. 3 series in France amongst Boys 4-14 overall. "The undeniable ratings success of Power Rangers places this evergreen brand in an enviable position as we move into 2013 celebrating 20 years on air," said Saban Brands president Elie Dekel. "It is not often that our industry celebrates this level of sustained success." Following its introduction to U.S. audiences in spring 1993, Power Rangers quickly became one of the most-watched children's TV shows in the United States. 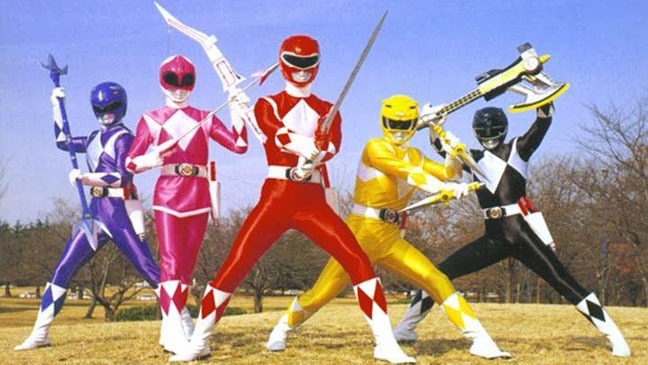 Twenty years on, Power Rangers Megaforce will premiere in the U.S. in 2013 on Nickelodeon. UK's CITV To Show New Episodes Of "Big Time Rush", "Matt Hatter Chronicles" And "Monsuno" As Part Of "Autumn 2012 On CITV"
This Autumn, look out for New Fleabag, Canimals, Phone Genie, Monsuno, Redakai, Big Time Rush, Matt Hatter & more! It is currently unknown whether CITV (short for Children's ITV or Children's Independent Television) will broadcast the new episodes of the hit Nickelodeon sitcom "Big Time Rush" and the popular animated shows "The Matt Hatter Chronicles" and "Monsuno" on ITV's CITV channel or as part of ITV Breakfast's CITV programming block which airs Saturday and Sunday mornings on the ITV network from 06:00 to 08:25 in the timeslot occupied by Daybreak on weekdays. Cymphonique Awarded the Key to the City! We love [Cymphonique Miller] for her acting - she never fails to get a laugh from us. Recently, the TV star was recognized for another one of her well-known activities: her philanthropy! Active in the community of Memphis, Tennessee, Cymphonique has dedicated many hours over the course of several years to helping inner city youth achieve more than they ever expected by helping them understand the importance of an education. Her acts of kindness haven’t gone unrecognized, either. Mayor A.C. Wharton was proud to present Cymphonique with her very own Key to the City! The 'How to Rock' star just took to her Twitter to express her gratitude saying “So honored to receive the key to the city of Memphis, blessed to be doing this at 16. #nevertooyoungtomakeadifference ❤” Cymphonique is also active with other organizations. She's been a part of Nickelodeon's Big Help campaign, as well as being recognized by DoSomething.org. Receiving the Key to Memphis is such a high honor, and we’re very impressed with the dedication Cymphonique has towards the children she’s helped out. We also know that there are plenty of other lives she’ll be helping out in the future - keep it up girl! The Power Rangers Happy Meals feature one of eight Power Ranger action figures or role play toys based on Saban's hit action series Power Rangers Super Samurai, which currently airs on Nickelodeon. The Paul Frank Happy Meals feature one of eight Paul Frank-themed items (bendable figure, luggage tag, magnets, stationery kit, calendar, notebook, watch and bracelet), based on the IP's Julius character. As preparations for the 2013 Kidscreen Awards ramp up, the awards team has announced the first-round judges for the programming categories. After reviewing and scoring all entries in the categories (Best Animated Series; Best Non-Animated or Mixed Series; Best One-Off, Special or TV Move; and Best Companion Website), the first-round judges whittle down a shortlist of programs and websites that move on to a second and final round of judging, administered by three new jury panels. The entry deadline for the programming categories is Friday, September 14 and the deadline for the broadcasting categories (Channel of the Year, Best Channel Design, Best Channel Website, Best Interstitial Campaign, Best Integrated Promotion, Best On-Air Host or Hosting Team) is Friday, October 19. The 2013 Kidscreen Awards winners in all categories will be announced at an evening presentation as part of next year’s Kidscreen Summit set to take place in New York between February 5 and 8. Additional information on eligibility, judging and how to enter can be found at awards.kidscreen.com. US-based social TV service Yap.TV has appointed former NBC Universal vice president Todd Brown as chief revenue officer and executive VP of business development. Brown, a 20-year TV industry veteran, recently stepped down from his NBCU job, prior to which he was a division VP at Comcast, leading sales and marketing for networks such as E! Entertainment, Golf, Style, G4 and Sprout. He has also worked as VP of content distribution at Viacom, working with MTV, BET, and Nickelodeon. Earlier this month Yap.TV added four new language options to its service and rolled out into 19 new countries in Europe, Latin America and Canada. The start-up is backed by Javelin Venture Partners and Blumberg Capital, counts Apple co-founder Steve Wozniak among its advisors. Nickelodeon, Life Like Touring and Daniel Sparrow & Mike Walsh Productions present the UK premiere of Nickelodeon's Dora the Explorer LIVE! Search for the City of Lost Toys, arriving at the Apollo Theatre, Shaftesbury Avenue for a limited three week run from today, 28 August to 16 September 2012. Now seen by more than two million people, this live musical adventure, which brings the popular children’s show to the stage, goes on a National Tour in Spring 2013. Dora the Explorer fans will delight in this two act, song and dance spectacular that invites them to think, sing and play along. Nickelodeon's Dora the Explorer LIVE! is designed to teach kids to explore, communicate, overcome obstacles, solve puzzles and discover a diverse and exciting world…all while having a lot of fun! Everyone’s favourite explorer is embarking on a LIVE musical adventure in London’s West End! In Nickelodeon’s Dora the Explorer LIVE! Search for the City of Lost Toys, Dora has lost her teddy bear Osito, and the search is on to retrieve him! With the help of the audience, Map, Backpack, Boots, Diego and their courageous friends, Dora uses her map-reading, counting, musical and language skills to successfully passthrough the number pyramid and the mixed-up jungle to reach the City of Lost Toys. But watch out - you never know what that sneaky fox Swiper might be up to along the way! One of the channel’s most beloved shows, Dora the Explorer airs daily on Nick Jr. at 8:30 a.m, weekdays at 11 a.m. and on weekends at 1 p.m. In 2011, 7.5 million viewers across the globe tuned in to the play-along, animated adventure series. Nickelodeon’s Dora the Explorer LIVE! Search for the City of Lost Toys is on priority sale with Ticketmaster from Monday 14 May. Please go to www.ticketmaster.co.uk or call 0844 277 4321. How to Rock may be ushering in its final season, but that doesn't mean the party ends now. We've got tons of Perf-ect plans and Gravity 5 jammin' to do! It's true that the show will be coming to a close this fall, but there's a serious bright side to this scenario. There's a whole new season of all new episodes coming your way FAST! 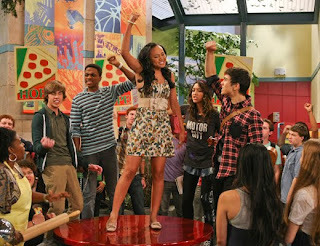 And as for your fave rockin' HTR co-stars, well, it's not the end for them either. Noah Crawford and Chris O'Neal already have a new hit show on the tube, You Gotta See This, rolling out brand new episodes this fall! So even though we'll be waving goodbye to Brewster High, at least we know we're parting ways on a serious high note. Now who's ready to rock?! This fall, there are nine new episodes coming up. And just so you know what's on your Brewster High schedule, allow us to explain. "How To Rock a Singing Telegram" is a NEW episode where Gravity 5 kicks off a fundraiser of singing telegrams in an array of musical styles (including a song inspired by BTR -- can we get a "Woo-Hoo?"). "How To Rock a Yearbook" is another all-new episode on the horizon, where the Gravity 5 crew attempts to score a yearbook page that's as Perf-ect as the Perfs'. As far as guest stars go, you're in for a real treat when Cymphonique Miller's big bro Romeo makes a cameo appearance in "How To Rock a High School Sensation." And, this goes without saying, but the music lined up for this new season is sure to keep your playlist packed, with an awesome acoustic version of "Only You Can Be You" in the works! Who remembers when Miranda Cosgrove made her oh-so-adorable Nick debut? 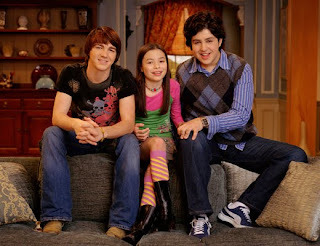 It was back in the year 2004, when she scored one of her first TV gigs as the adorably menacing Megan on Drake and Josh! And little Miranda accomplished more than just making audiences everywhere laugh out loud with her sinister pranks on the show. 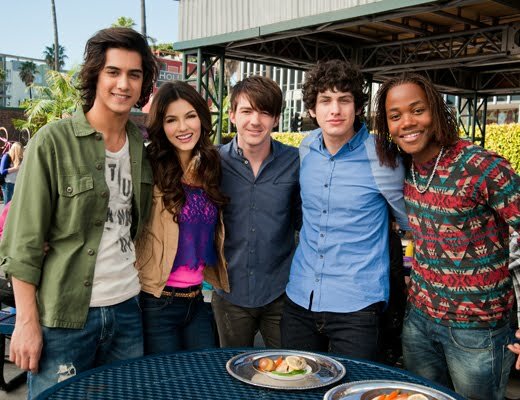 She also made great pals with her on-screen big bro, Drake Bell. But why are we chatting about this years after the fact? Well, in typical Throwback Thursday fashion, we've been wondering...What's up with this dynamic duo now? First, let's back track for a second. 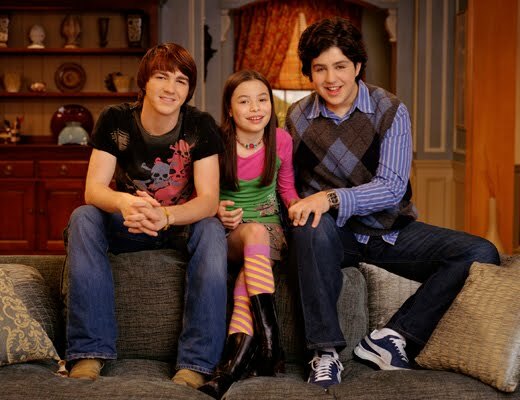 We already know Drake and MC's friendship lasted far beyond the Drake and Josh set, 'cause both stars stayed in the Nick fam after the show wrapped. As we all know, Miranda went on to headline her own show, iCarly, and Drake moved on to a bundle of new Hollywood gigs, like his lead role in A Fairly Odd Movie and an awesome appearance in Rags. And here's another tidbit to add to your Drake and Miranda knowledge...Drake's pipes are featured alongside Miranda's on iCarly's title track, "Leave It All To Me!" But with all this history, are these two actors still buds? The answer is yes! Sure, the two have moved on to all new projects in the year 2012, but they try their best to keep in touch. In fact, at this year's KCAs, Drake picked Miranda as the number one person that he'd wanna see slimed. 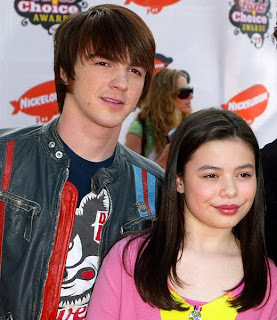 "I think Miranda [Cosgrove is in for a slime]," Drake told Just Jared Jr. on the Orange Carpet. "I think she is in for a slime. Her time is up, it's been long enough, I am ready to see my little sister slimed." As for Drake's latest gigs, we recently caught him making a cameo appearance on Victorious in the episode "April Fools Blank." And you can look forward his all new movie coming to Nick this holiday season, A Fairly Odd Christmas! And what about Miranda? We all know iCarly is coming to a close this year. But this is not the end of the road for our favorite web show superstar. Miranda's ready to take on a whole new challenge this fall...college! Yesterday she tweeted, "On my way to my first day at USC!" From hitting the books to promoting a new feature flick, we wish this duo the best of luck in all their upcoming endeavors. And we're happy to see that this throwback bro and sis will continue to stay great pals through it all! Labels: Drake and Josh, iCarly, Nickelodeon Shows, Nickelodeon Stars, Where Are They Now? Did you know? Your favorite Winx Club fairies have some extra special powers...starpowers! The ladies of Victorious have teamed up with Keke Palmer to lend their voices the show. But do you know who's playing who? If you can't pick out these perfect pipes from the 'toon, then allow us to recap. Even though Ariana Grande plays the sweet and quirky Cat on Victorious, she voices the villainous Princess Diaspro. Talk about a change of character! Liz Gillies is also taking a step away from her persona as the jealous Jade to play Daphne, Bloom's kind and powerful sister. Last but certainly not least, Keke plays the sassy and sporty Aisha. And both of these girls love to dance, so it's a perfect match! So now that you have three extra reasons to be super excited for the brand new Winx Club premiere, "Beyond Believix," featuring these glamorous gals, there's only one thing left to do...watch! Oh, and listen out for Keke and the Victorious voices, of course. Bring on the magic! Nickelodeon UK fanblog NickUKHub are reporting that Nickelodeon UK and Ireland has announced in their latest brand new 'Brand New Episodes Of Kung Fu Panda: Legends of Awesomeness' trailer/promo that Nickelodeon UK will begin premiering and showing more brand new episode of the animated Nickelodeon series (Nicktoon) "Kung Fu Panda: Legends of Awesomeness" on Nickelodeon UK and Ireland, Nickelodeon HD UK and Nick Replay UK in September 2012 as part of "September On Nickelodeon UK" (episode titles of the brand new episodes, airdates and transmission (TX) times to be confirmed by Nick UK). Nickelodeon To Release "The Fresh Beat Band: More Music From The Hit TV Show Vol 2.0" In The USA On 9th October 2012; Second Leg of The Fresh Beat Band's Popular North American Concert Tour Kicks Off Monday 27th August 2012 in Florida And Travels To New York, Los Angeles, Chicago and More! Second Leg of The Fresh Beat Band's Popular Nationwide Concert Tour Kicks Off Today [Monday 27th August 2012] in Florida and Travels to New York, Los Angeles, Chicago and More! NEW YORK, Aug. 23, 2012 /Nickelodeon Press Release via PRNewswire/ -- Nickelodeon will release the second album for preschool music sensations The Fresh Beat Band digitally and in stores everywhere on Tuesday, Oct. 9. 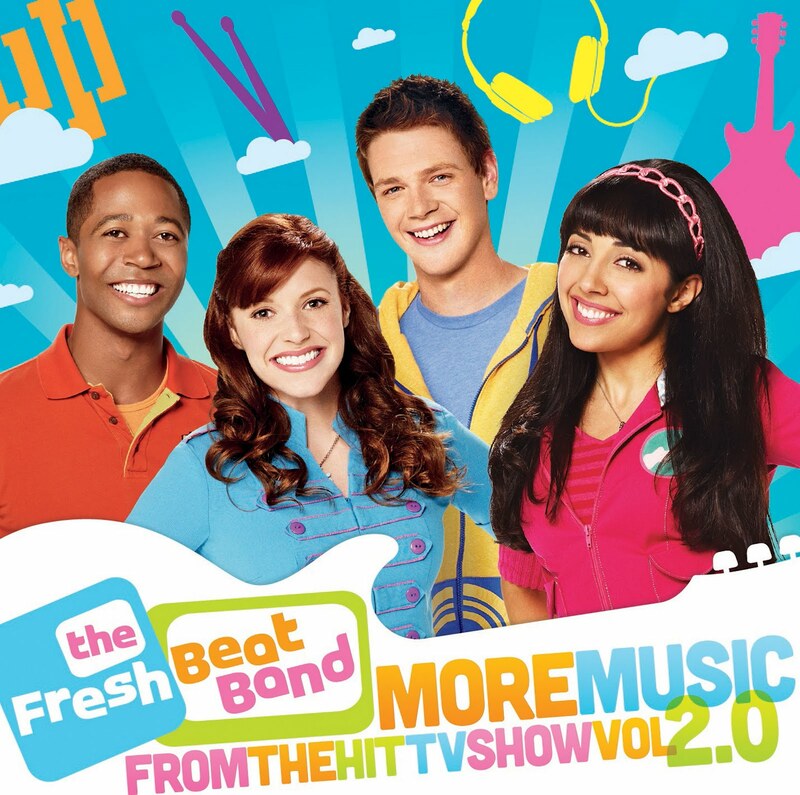 The Fresh Beat Band: More Music From The Hit TV Show Vol 2.0 album will feature 20 kid-friendly tracks including the band's most popular songs from all three seasons of the Emmy award-winning live-action TV series, as well as some covers of pop favorites including "Let's Get Loud," "Twist and Shout" and the classic '80s track, "We Got the Beat." Season three guest star Jason Mraz is also featured on the album in a duet of his chart-topper, "I'm Yours," with the Fresh Beats. The album comes with a special poster and is available in a deluxe version which includes five bonus songs and a sticker sheet. Both versions will be available for pre-order online Aug. 28. The Fresh Beat Band -- Kiki (Yvette Gonzalez-Nacer), Marina (Tara Perry), Twist (Jon Beavers), and Shout (Thomas Hobson) -- kick off the second leg of their hugely popular nationwide concert tour today in Florida and will travel to 62 cities across the country, performing in 75 shows. Additionally, a 7th New York performance was added on Sept. 19 and will go on sale Aug. 24. Tickets and Fresh Beat Band VIP packages are available at www.freshbeatbandlive.com and www.ticketmaster.com. In celebration of the tour's commencement, the band will participate in a live Q&A on Saturday, Aug. 25, at 4 p.m. (ET) via their Facebook page, www.facebook.com/freshbeatband. Fans can submit questions through the Direct Message tab on the page for a chance to get them answered by the Fresh Beats. The deadline to submit is Thursday, Aug. 23, at 8 p.m. ET. The Fresh Beat Band's first album, The Fresh Beat Band: Music From The Hit TV Show, debuted at number-one on the iTunes Children's Albums chart and remains in the top five after 30 weeks. The album debuted at number-one on the Billboard Top Soundtracks chart, number 21 on the Billboard Top 200 albums chart, and number-two on the Billboard Top Children's albums chart. It was also the number-one selling Sony Music album on Walmart.com in 2012. Additionally, fans can enjoy more than 50 episodes and three TV seasons of The Fresh Beat Band available now on iTunes. The Fresh Beat Band: Wizard of Song is also now available for purchase on iTunes and it features songs including "Another Perfect Day," "Here For You," "Home" and more. The Fresh Beat Band centers on four best friends – Kiki, Shout, Marina and Twist – in a band who love to sing and dance. In each episode, preschoolers sing and dance along as they help The Fresh Beat Band solve everyday challenges. Preschoolers learn the fundamentals of music such as melody, rhythm, tempo and performance styles and the importance of friendship, working together, and respecting each other's differences. She was once a party girl but Nicole Richie changed her ways when she became a mother. And the fashion designer showed what a different lifestyle she is living these days on Saturday. The 31-year-old may be married to Good Charlotte frontman Joel Madden but the concert she attended was worlds away from her husband’s music. Nicole was seen treating daughter Harlow to a fun day out watching a performance by The Fresh Beat Band in Los Angeles. It was a live version of the popular children’s television show which airs on Nickelodeon and Nick Jr.
Nicole appeared happy and healthy as she sipped on a nutritious looking green juice drink. And even though it was a casual day out Nicole still looked as stylish as ever. She sported a pretty patterned green and blue sundress with white lace trim. The Fashion Star mentor completed her look with unusual chunky black shoes along with matching sunglasses and a beanie hat. Nicole has been showing what a doting mother-of-two she is over the Thanksgiving holiday weekend. The day before she took Harlow, as well as Joel and their son Sparrow to yet another show – this time heading to see Yo Gabba Gabba. A whole host of celebrity mothers were at the event, including Halle Berry and Anne Heche. Nicole was also drinking a juice as she arrived at the theatre on Friday - perhaps detoxing after Thanksgiving.